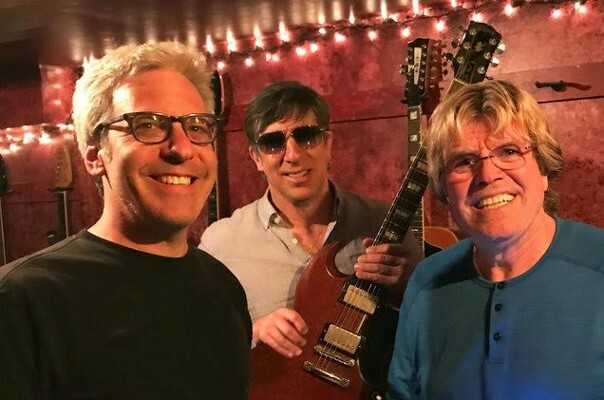 Popdose Choice Video: The Red Button featuring Peter Noone, "Ooh Girl"
Popdose is very excited and pleased to present the video for “Ooh Girl”, the new single release from The Red Button, featuring Peter Noone on JEM Records. It is, undoubtedly, a VERY CHOICE VIDEO and TRACK! This video premiered on Billboard last week, but we were so struck by it, that we wanted to share it as well. The Red Button, as you probably know by now, is Seth Swirsky and Mike Ruekberg, both singer/songwriters with numerous hits and songwriting credits. Peter Noone (of course) gained prominence at the age of 15 as the lead singer of the legendary and much-beloved British Invasion group, Herman’s Hermits, and still tours, performing over 120 dates a year. He also hosts “Something Good with Peter Noone” on Sirius/XM radio. Here’s a staggeringly good piece of pure pop, done – naturally – quite rightly by The Red Balloon with Peter Noone; you’ll quickly understand why we dig it!